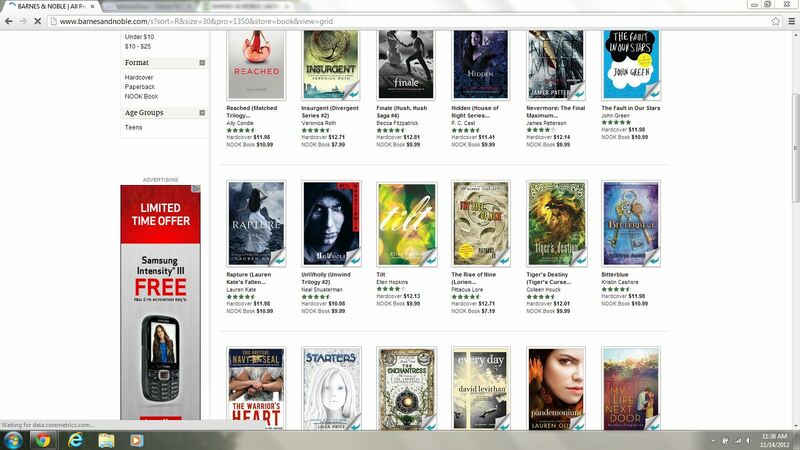 In some of the happiest news of the year, Barnes & Noble picked STARTERS as one of the Best Teen Books of 2012, as you can see by clicking on the picture below. We’re one of five debuts chosen. And Chapters/Indigo, the Canadian book chain, also chose STARTERS as one of their 12 Best Teen Books of 2012 and is one of three debuts. 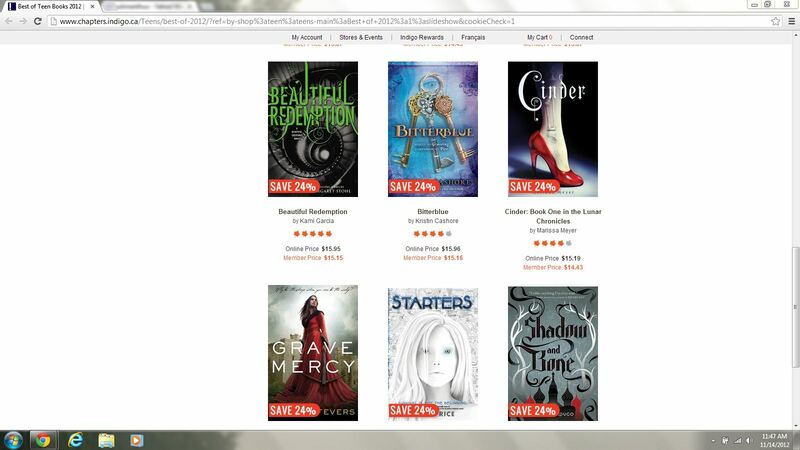 I’m thrilled to be in the company of such wonderful authors, especially my generous blurber, Kami Garcia.